If you want to know more about Supreme Court justice Ruth Bader Ginsburg visit the Hammer Museum at UCLA on Wednesday, Sept. 26. The museum will be hosting a free screening of “RBG,” a documentary that explores Ginsburg’s life and career. Ginsburg is the second female justice to be confirmed to the court. 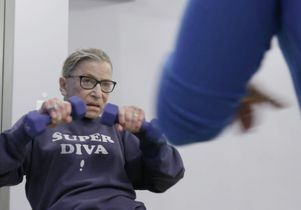 “RBG,” which was directed by Betsy West and Julie Cohen, chronicles her career, which spans several decades, and how she developed her legal legacy while becoming a pop-culture icon. This event will begin at 7:30 p.m. Tickets, which are free, are required and will be available at the box office one hour before the program on a first come, first served basis. Museum members can receive priority ticketing until 15 minutes before the program starts.